He was born March 4, 1925 in Kittanning, the son of Raymond Earl and Nettie Mae (Slagle) Beers. Clair was a resident of the Kittanning area all his life. A member of the Slate Lick Presbyterian Church, he also attended the First Baptist Church of Kittanning. He honorably served his country in the US Army during World War II in the military police in Yokohama, Japan. Clair received the Asiatic Pacific Theater ribbon, the WWII Victory Ribbon and the Army Occupation Medal. Clair was employed with Dantella Bros. as a heavy equipment operator for 22 years prior to his retirement in 1989. He was also worked at Winfield Lime and Stone and Michigan Limestone Chemical Co. He served as the North Buffalo Township Supervisor for 12 years and was a member of the Armstrong County Farm Bureau. Clair liked to farm and his love of farm machinery spurred an interest in collecting antique Farmall and International tractors. He also enjoyed carpentry and was blessed with the ability to fix anything that was broken. During his life, Clair was proud to have built two homes. He cherished the time spent with family members, and his favorite times were those spent with his grandchildren and great-grandchildren. Clair was a loving husband, caring father and grandfather, and great friend, and will be sadly missed by the people whose lives he has touched. He leaves behind to cherish his memory a daughter, Jean Huntley of Kittanning; grandchildren, Amy Huntley and Chad Huntley and wife, Susan; great-grandchildren, Kaylee Huntley, Amber Bowser and Shanelle Bowser; brothers, Clarence Beers and wife, Irene, of Kittanning, Ken Beers and wife, Win, of Oakwood, IL, William Beers and wife, Margaret, of Worthington, and Calvin Beers and wife, Kathie, of Freeport; and sisters, Margaret Smeltzer and husband, Johnny, of Kittanning, Helen Brannan, of Cowansville, Martha Boyer, of Pulaski, PA, and Delores Miller, of Ford City; in addition to close family friends, Randy Wain and Crystal Slone. 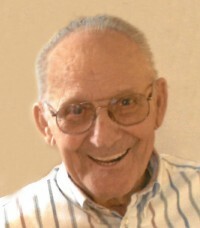 Clair was preceded in death by his parents; his wife of 70 years, Jessie V. (McClanahan) Beers, who passed away on January 31, 2019; son in law, Donald Huntley Jr; brothers, Roy, Donald, and Paul Beers; and sisters, Sadie Rupert, Aldora Clever and Bessie Frantz. Relatives and friends may visit from 2 p.m. until the time of services at 5 p.m. on Thursday, April 18, 2019 at the Bauer Funeral Home and Cremation Services, Inc., 515 N. McKean Street, Kittanning with the Rev. Mark Brady officiating. Burial will be in Lawn Haven Burial Estates, Worthington, Pennsylvania. In lieu of flowers, contributions may be made in Clair's memory to the First Baptist Church of Kittanning.